In a move some say is designed to help President Donald Trump garner support for his border wall with Mexico, the Internal Revenue Service has announced it will issue tax refunds during the continuing government shutdown — something the agency was apparently barred from doing before, according to news reports. “Tax refunds will go out,” Russell Vought, the acting director of the White House Office of Management and Budget, told reporters at a briefing earlier this week, according to Bloomberg. For many Americans, this could spell a substantial boon early in the year. The average refund check last year was $2,899 — and in the first week of 2018’s filing season, which typically begins in late January or early February, over 18.3 million people claimed around $12.6 billion in tax refunds, the news service writes. This year, the filing season starts Jan. 28, according to Bloomberg. Previously, the IRS has said it was barred from issuing refunds during government shutdowns because of the Antideficiency Act, which governs which government work can take place during shutdowns as a measure to protect life and property, the news service writes. 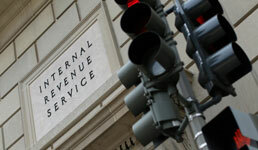 The agency would accept tax returns but delay the refunds until lawmakers funded the government, according to Bloomberg. This time around, the IRS is purportedly addressing a problem faced by previous administrations, Voght said, the news service writes. And the OMB isn’t likely to take issue with the IRS’s choice because of the decision’s political popularity, according to Bloomberg. The U.S. government has been in partial shutdown for more than two weeks now following Trump’s demands for billions of dollars for a border wall and lawmakers’ ongoing failure to reach an agreement over the budget, the news service writes. Some Democrats believe the IRS’s decision is a ploy by the Republicans to drum up support for Trump’s wall, according to Bloomberg. “It’s a band-aid to try to make people feel better about the fact that the government is not functioning,” Sen. Doug Jones, D-Ala., tells the news service.